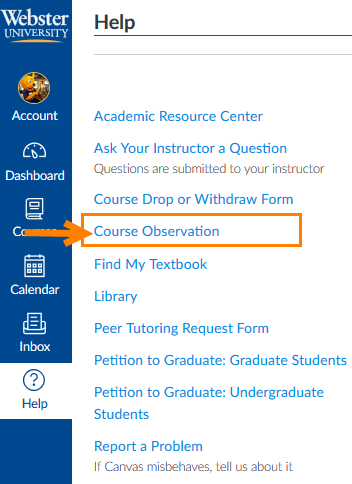 WorldClassRoom FAQs - How can I submit feedback about my online class and/or my instructor? How can I submit feedback about my online class and/or my instructor? An important part of Webster University's mission is to ensure a high quality learning experience for every student. The Online Learning Center (OLC) is tasked with ensuring this occurs for online courses. There are several ways that you, as a student enrolled in an online course, can submit different types of feedback to us regarding your experience at different points during the term. Which method of providing feedback to use depends upon the point in the term. While a term is in progress, you may find it is necessary to draw attention to either positive or negative events which are currently happening in your online course. If these events are negative in nature, such as questions not being answered or feedback not being provided in a timely manner, the sooner the Online Learning Center knows about a potential problem, the more we can do to assist. In this type of situation, the Course Observation Form is provided as an avenue for you to alert us to ongoing issues. Should your instructor need to be contacted as a result of your feedback, please be assured that any information you provide will be kept anonymous. This form can be found inside the Online Student Center, at the Student Forms link in the center of your screen. We would ask that you first make every attempt to utilize the Course Observation Form, as it generates notifications to key parties and can be stored for future tracking purposes. However, if you cannot fill out the form for any reason, please contact the Online Learning Center directly at studyonline@webster.edu, providing your name, course number, instructor's name, and a clear description of the problem which is occuring and any action you have taken. During the final two weeks of each online course, you will be asked to complete a Course Evaluation. 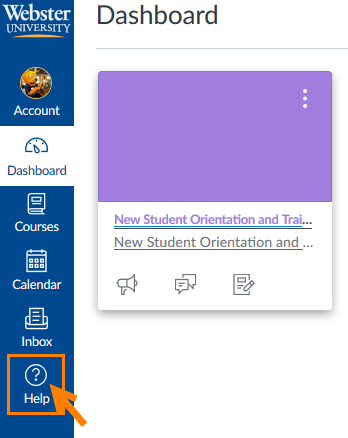 It will also be accessed from the course tools menu on the left of your course; the Course Evaluation link will appear on the Monday of Week 8 of the term. Course evaluations are anonymous and confidential. We take confidentiality very seriously so you can speak openly and honestly about your learning experience. Our online course evaluation platform does not tie student identities together with completed evaluations. Simply put: within the course evaluation platform there is no way to identify which student completed which evaluation. Additionally, course evaluation results are not released to professors until after we have confirmed that grades have been entered. After the term concludes and final grades are posted, course evaluation feedback is reviewed by several key parties, including the instructor, course lead, program chairs and Online Learning Center staff. Your feedback is taken seriously and frequently prompts these parties to make adjustments where necessary, so that courses and teaching are continuously improved. I need help with my online course. How can I get assistance?